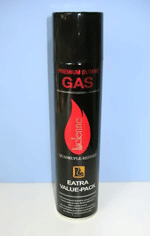 • Premium Butane Fuel (2.75oz). • Ships without Hazard Charge (ORM-D). • Odorant Added to Detect Leaks.